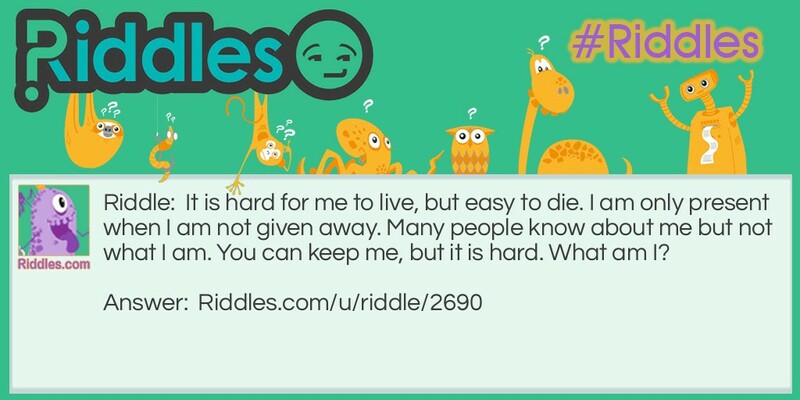 It is hard for me to live, but easy to die. I am only present when I am not given away. Many people know about me but not what I am. You can keep me, but it is hard. What am I?